Phoenix Homesteads Historic District boundaries are roughly Osborn Road to Thomas Road, 26th Street to 28th Street, Phoenix, AZ. It is the easternmost historic district in Central Phoenix making it a short drive to the Arcadia historic neighborhood where you may enjoy a glass of wine at Postino’s, a specialty pizza at La Grande Orange Pizzeria and Grocery (Campbell & 40th Street) along with all the wonderful givings the Arcadia area has to offer. 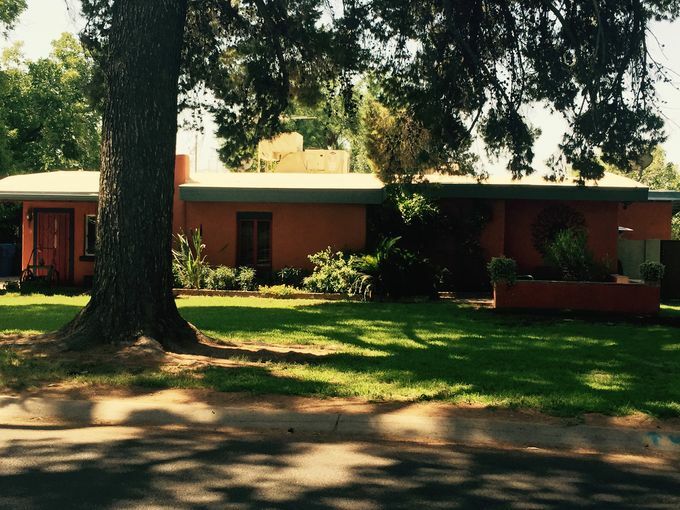 The architectural styles and square footage are predominately Pueblo Revival homes made of adobe are shaded by huge Aleppo Pines and Washington Palm trees shading the streets that occupy the Phoenix Homesteads Historic District. Square footage averages about 1,300 to 1,600 square feet, Lot sizes are large and irrigated ranging from about 1/3 to 3/4 of an acre. This district consists of two irregular shaped areas. Each of the lots was designed to incorporate a small orchard and vegetable garden. Phoenix Homesteads is the only neighborhood constructed of all Adobes in Phoenix. This historic district was developed after the Great Depression as part of an experimental U.S. government resettlement project. Low-income families were moved to public housing lots four miles from downtown Phoenix where they could grow their own food. Some present-day residents still own horses and chickens. The neighborhood originally included 60 Pueblo Revival adobe homes built from 1935 to 1937. More than 700 families applied for a chance to live in the development. The government let residents buy their homes after they rented for a few years. About 40 adobe homes remain. Phoenix Homesteads still is lined with designer Robert T. Evans’ trees.